The Lord tells the prophets what messages He wants us to hear. We can read messages from ancient prophets in the scriptures and also hear messages from modern-day prophets. More than 2,000 years ago, King Benjamin called his people together for a conference and taught them the words of the Lord. During last month’s general conference, President Gordon B. Hinckley gave us the word of the Lord. [Heavenly Father] hath created you, and granted unto you your lives, for which ye are indebted unto him. 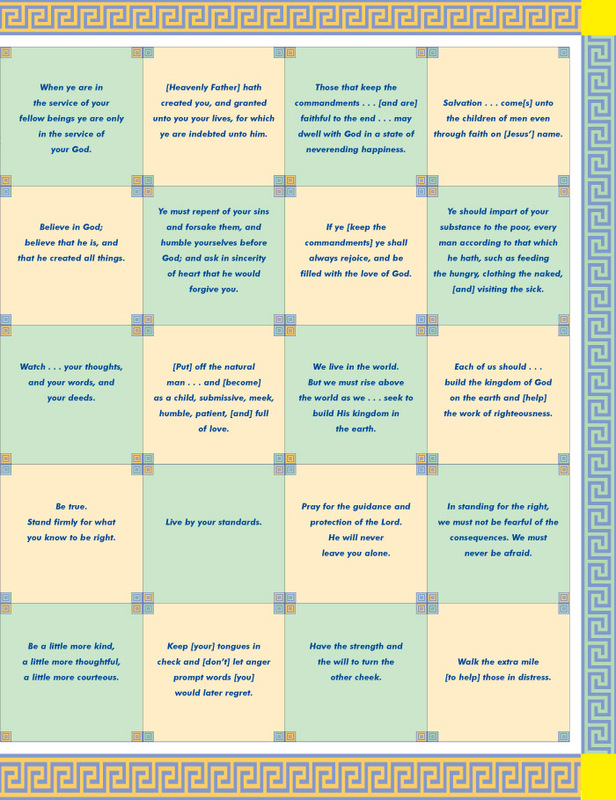 Those that keep the commandments … [and are] faithful to the end … may dwell with God in a state of neverending happiness. Salvation … come[s] unto the children of men even through faith on [Jesus’] name. Believe in God; believe that he is, and that he created all things. Ye must repent of your sins and forsake them, and humble yourselves before God; and ask in sincerity of heart that he would forgive you. If ye [keep the commandments] ye shall always rejoice, and be filled with the love of God. Ye should impart of your substance to the poor, every man according to that which he hath, such as feeding the hungry, clothing the naked, [and] visiting the sick. Watch … your thoughts, and your words, and your deeds. [Put] off the natural man … and [become] as a child, submissive, meek, humble, patient, [and] full of love. We live in the world. But we must rise above the world as we … seek to build His kingdom in the earth. Each of us should … build the kingdom of God on the earth and [help] the work of righteousness. Be true. Stand firmly for what you know to be right. Pray for the guidance and protection of the Lord. He will never leave you alone. In standing for the right, we must not be fearful of the consequences. We must never be afraid. Be a little more kind, a little more thoughtful, a little more courteous. Keep [your] tongues in check and [don’t] let anger prompt words [you] would later regret. Have the strength and the will to turn the other cheek. Walk the extra mile [to help] those in distress. 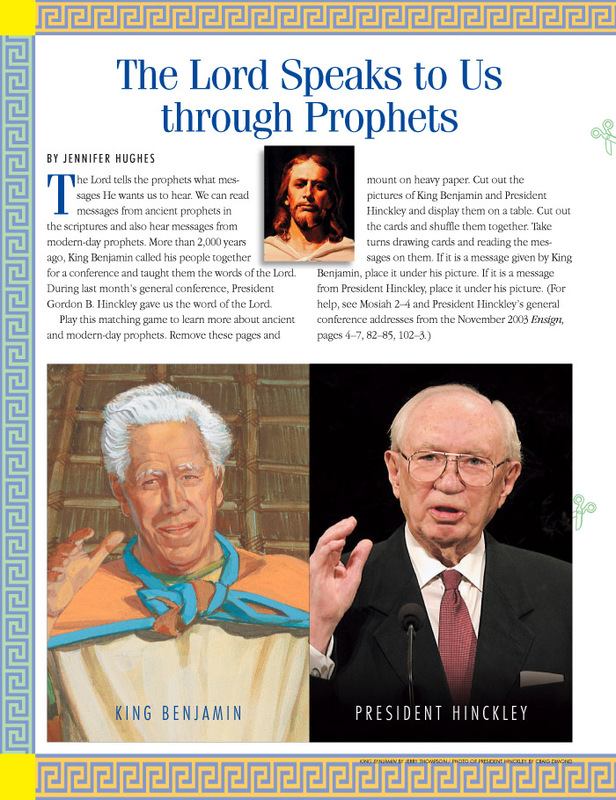 Note: If you do not wish to remove pages from the magazine, this activity may be copied, traced, or printed out from the Internet at www.lds.org. Click on Gospel Library.